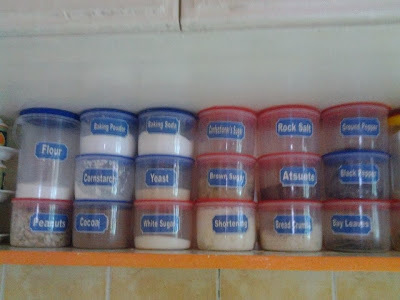 So now, I am trying to live with the basics and just invest on some kitchen tools and equipment that's really necessary. 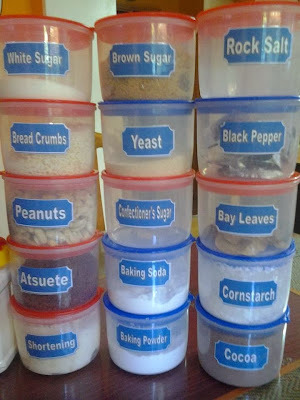 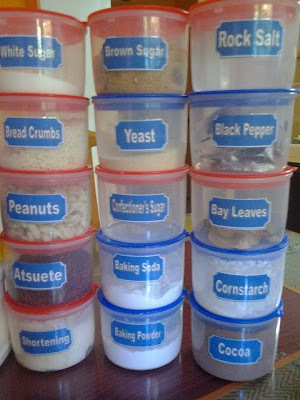 As I often bake, I have lots of ingredients that need proper storage so I bought several plastic jars where I could keep all those ingredients and spices. I've found some free printable labels online but it doesn't suit the size and labels that I need, so I decided to make my own version. 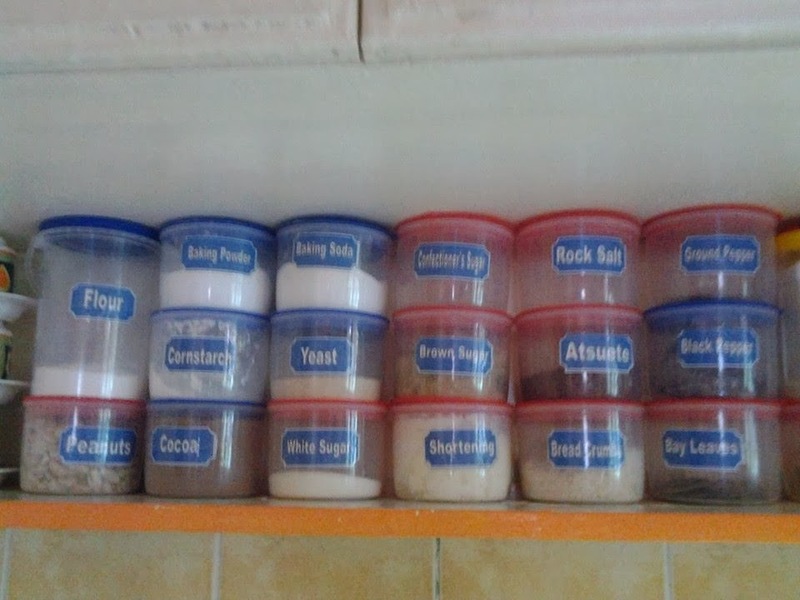 I stored these labeled jars on the shelves just below the kitchen cupboard. 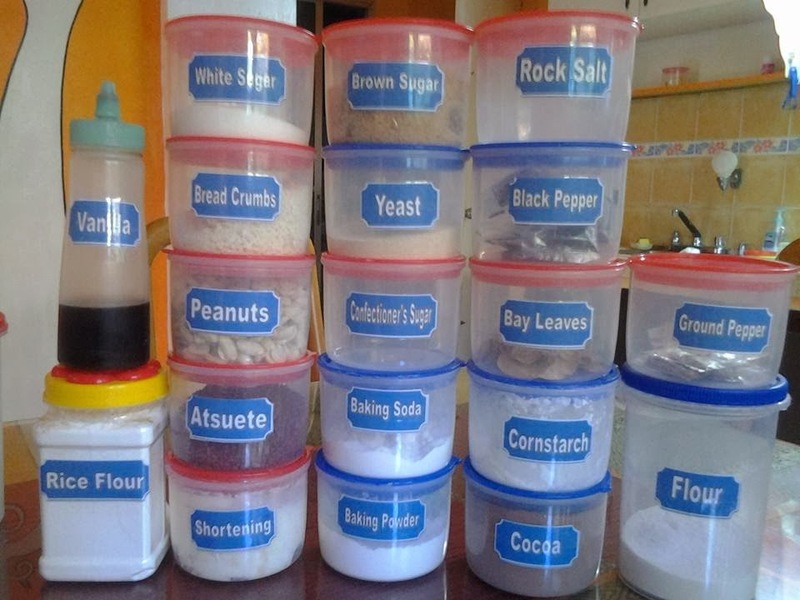 This will enable me to have easy access to all the ingredients and spices that I need when cooking or baking.